An eight storey mixed use building designed by Consarc Design Group for The Sheridan Group. The Tannery building comprises a 610 space multi-storey car-park, taxi passenger centre, 20,000ft2 of retail space and 34 apartments. The site was offered by the Department for Social Development via development competition in the early 2000s. Sheridan were selected to redevelop the site (then a taxi depot and car park) and submitted a planning application (Z/2001/2597/F) in October 2001. The application proposed a multi-storey car park, purpose built taxi passenger centre, retail space and apartments. The application was approved in June 2002 and Gilbert Ash commenced construction shortly after. During pre-construction archaeological digs the remains from of the Williamson Brothers Tannery were found. The tannery occupied the site from the 1880s until the early 1900s. The 275,000ft2 Tannery building was completed in phases from April 2003 to October 2003. The taxi centre, leased to West Belfast Taxis, officially opened on 16 May 2003. 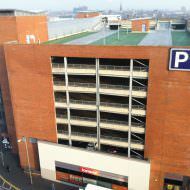 The multi-storey car-park opened during summer 2003. Iceland and Workout World where announced as retail tenants in August 2003 and opened in September 2003. The apartments were completed in October 2003. Workout World ceased trading and the unit remained vacant until Hybrid Fitness opened during early 2017. Iceland Foods continues to trade and agreed a new lease in July 2014. Alburn Investments was reportedly negotiating the acquisition of the Tannery building in 2007 although the sale did not proceed (source: Propertyweek.com). The owner of the Tannery building, Quito Developments Ltd (part of The Sheridan Group), was placed into administration in March 2011. 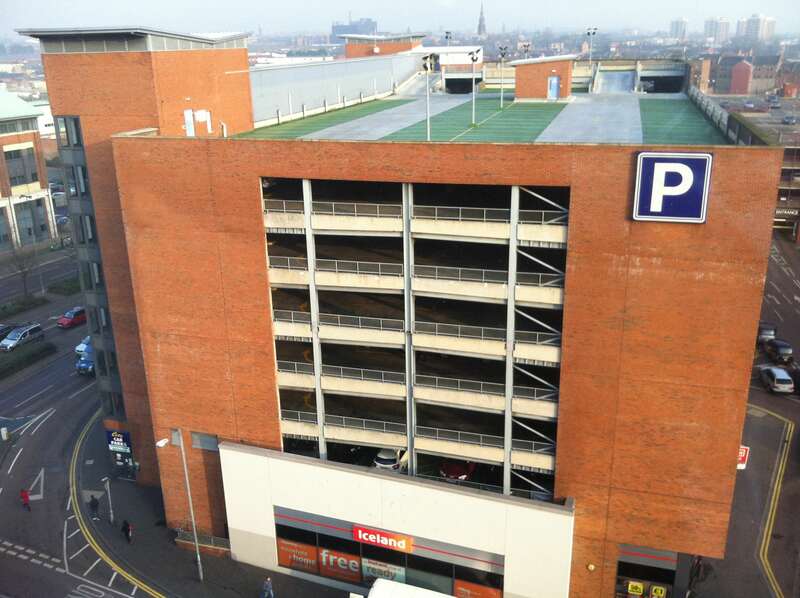 The multi-storey car-park was leased to City Car Parks Ltd until the company entered into liquidation in May 2010 and the lease was assigned to Shanesilver Ltd. Shanesilver Ltd entered liquidation in Novemeber 2015 and the administrator of the Tannery Building took control of the car park and appointed PEA to operate. The administrator of Quito Developments Ltd appointed Lisney to market the The Tannery building for sale in April 2016. A report published by the administrator indicates that the property sold for in excess of £5m in April 2017. The building is now owned by Tannery Investments Ltd.